There are some jobs that you leave to the experts, and transporting and storing the priceless contents of an 18th century home is one of them. One of the most trusted and experienced moving companies in New Jersey, All Jersey Moving & Storage was asked to pack and transport the contents of the Buccleauch mansion into our storage facility while it undergoes important renovations. We were thrilled to take part in this exciting moving project. Located in Buccleauch Park in New Brunswick in Middlesex County, New Jersey along the Raritan River, the beautiful Buccleauch mansion has an interesting history. In 1739, the mansion was built by Anthony White, son-in-law of colonial governor of New Jersey at the time, Lewis Morris. White built the house for his bride, Elizabeth Morris. Elizabeth and Anthony had a son, Anthony Walton White, who became known for siding with the revolutionaries against the King in the American Revolutionary War. The Buccleauch mansion was previously known as “The White House Farm.” Purchased by Colonel Joseph Warren Scott in 1821, the house and lands were later deeded to the City of New Brunswick to be used as a park in 1911. Today, the Buccleauch mansion is taken care of by the Jersey Blue chapter of the Daughters of the American Revolution (DAR). Every Sunday from June through October, visitors can enjoy tours of the house. Private visits can also be made at other times by appointment. 1780: Owned by Charles Stewart, Colonel in the 1780s and was visited by several prominent men, such as George Washington, Alexander Hamilton, General Kosciusko, General Gates, and John Hancock. The Buccleauch mansion is decorated with Federal and Victorian furnishings, many of which belonged to the Scott family, owners during much of the 19th century. Needless to say, when organizers from the Daughters of the American Revolution needed to move the home’s contents into storage, they knew they had to find a moving and storage company they could trust. Since 1992, All Jersey Moving & Storage has been dedicated to providing neat, professional, and reliable service that exceeds customers’ expectations. By training and providing high quality employees, we have earned a reputation as trusted leaders in the moving and storage industry. The All Jersey Moving & Storage team has experience safely and efficiently moving valuable contents of all shapes and sizes, including antique furniture, fine artwork, pianos and more. We use top-of-the-line equipment to ensure that clients’ valuables and home are protected every step of the moving process. Contents of the Buccleauch mansion are being temporarily stored in All Jersey’s containerized storage facility. Our moving experts packed everything with the utmost care into boxes. Certain delicate antiques were packaged into special wooden crates for added protection before being transported to our storage center. Many of All Jersey’s clients who require short-term or long-term storage facilities prefer our secure containerized storage options over self-storage. There are several reasons for this. When furniture is placed in our containerized storage facility, it is carefully blanket wrapped and remains so until it's safely removed from storage. All items are stored securely in sturdy wooden containers - the optimal environment for valuables such as furniture and other delicates. All Jersey Moving & Storage has a team dedicated to carefully monitoring all movement into and out of our containerized storage facility. This gives tenants confidence that there are no hazardous materials or infested shipments under our roof. To provide even greater peace of mind, clients have the option of purchasing full value coverage to properly insure the goods in storage. Unlike self-storage facilities, at the All Jersey Moving & Storage facility in New Jersey, tenants only pay for the amount of space they use. To make storage more cost effective for our tenants, we don't charge move-in administration fees and maintain stable rental fees so there's no need to worry that storage expenses will increase after a few months as they often do in self-storage facilities. All Jersey also allows tenants to access their possessions as necessary. Tenants need only contact one of our warehouseman who are onsite and ready to help. 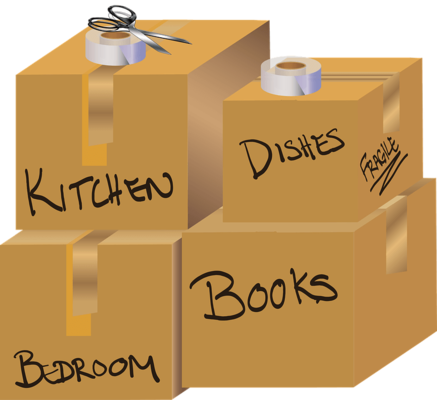 Contact an All Jersey Moving & Storage representative today!